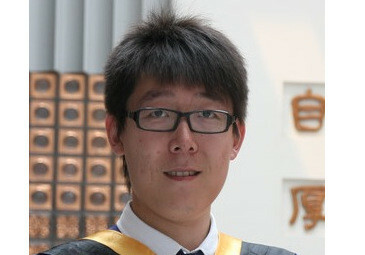 Junliang Dong received his Master degree in Control Science and Engineering in 2011, from Tsinghua University, China. His Master dissertation focused on ultrasonic nondestructive evaluation. In August 2013, He started to pursue his Ph.D. related to terahertz imaging and spectroscopy in Georgia Institute of Technology, USA, under the supervision of Prof. D. S. Citrin. In June 2017, he successfully defended his Ph.D. thesis entitled ‘Terahertz Imaging for Nondestructive Evaluation and Material Characterization’. His Ph.D. mainly focused on developing novel techniques to enhance the capability of terahertz imaging for the applications in industry and cultural heritage conservation science. Since August 2017, he joined the Nonlinear Photonics group of Prof. R. Morandotti as a postdoctoral research fellow, where he is investigating terahertz generation/detection, terahertz waveguide, as well as terahertz imaging and spectroscopy for biomedical applications. Thesis: J. Dong, Terahertz Imaging for Nondestructive Evaluation and Material Characterization, Dissertation, Atlanta (Georgia USA) (June 2017). J. Dong, A. Locquet, M. Melis, and D. S. Citrin, Global mapping of stratigraphy of an old-master painting using sparsity-based terahertz reflectometry, Scientific Reports, Vol.7, 15098 2017. J. Dong, A. Locquet, and D. S. Citrin, Depth-resolution enhancement of terahertz deconvolution by autoregressive spectral extrapolation, Optics Letters, Vol. 42, Issue 9, pp. 1828-1831, 2017. J. Dong, X. Wu, A. Locquet, and D. S. Citrin, Terahertz super-resolution stratigraphic characterization of multi-layered structures using sparse deconvolution, IEEE Transactions on Terahertz Science and Technology, Vol. 7, Issue 3, pp. 260-267, 2017. J. Dong, A. Locquet, and D. S. Citrin, Terahertz quantitative nondestructive evaluation of failure modes in polymer-coated steel, IEEE Journal of Selected Topics in Quantum Electronics, Vol. 22, Issue 4, pp. 1-7, 2017. J. Dong, J. Bianca Jackson, M. Melis, D. Giovannacci, G. C. Walker, A. Locquet, J. W. Bowen, and D. S. Citrin, Terahertz frequency-wavelet domain deconvolution for stratigraphic and subsurface investigation of art painting, Optics Express, Vol. 24, Issue 23, pp. 26972-26985, 2016. J. Dong, A. Locquet, N. F. Declercq, and D. S. Citrin, Polarization-resolved terahertz imaging of intra- and inter-laminar damages in hybrid fiber-reinforced composite laminate subject to low-velocity impact, Composites Part B: Engineering, Vol. 92, pp. 167-174, 2016. J. Dong, A. Locquet, and D. S. Citrin, Enhanced terahertz imaging of small forced delamination in woven glass fiber-reinforced composites with wavelet de-noising, Journal of Infrared, Millimeter, and Terahertz Waves, Vol. 37, Issue 3, pp. 289-301, 2016. J. Dong, A. Locquet, N. F. Declercq, and D. S. Citrin, Nondestructive evaluation of forced delamination in glass fiber-reinforced composites by terahertz and ultrasonic waves, Composites Part B: Engineering, Vol. 79, pp. 667-675, 2015. J. Dong, A. Locquet, N. F. Declercq, and D. S. Citrin, Delamination characterization of fiber-reinforced composites using terahertz imaging, German THz conference, Dresden, Germany, 2015.